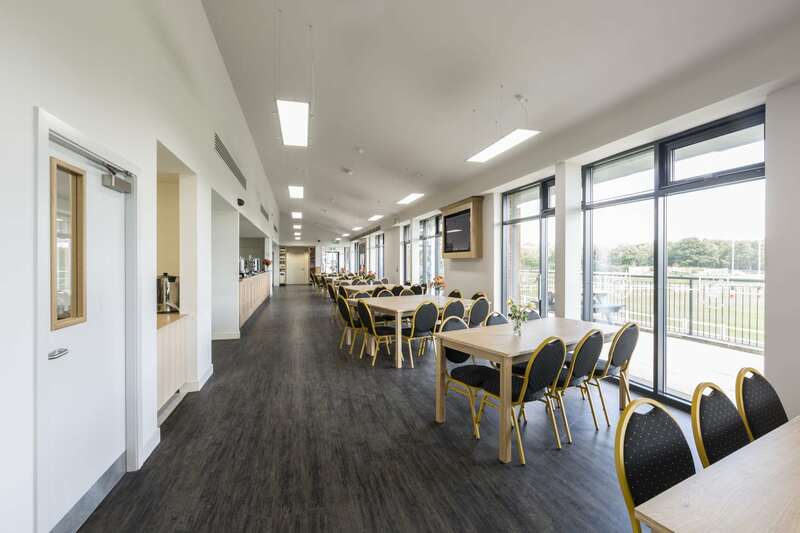 After acquiring a brand new site in Harrogate, seven designed a sustainable new clubhouse for Harrogate Rugby Union Football Club (RUFC) for use by the club and local community. 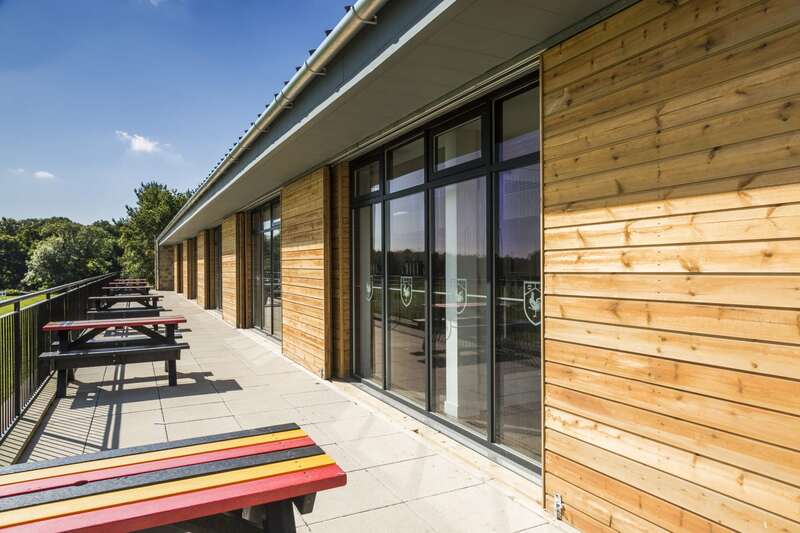 The new two-storey clubhouse provides changing and shower facilities for 6 teams, a large multi-functional club room, external viewing platform, catering facilities and an office for management purposes. 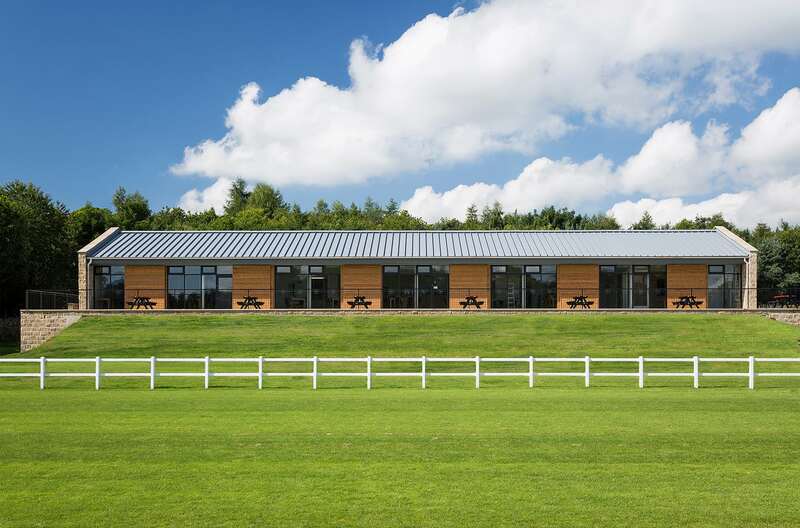 Designed to RFU standards, the building meets and exceeds the needs of the club which will help to minimise running and maintenance costs, safeguarding the club for future generations. 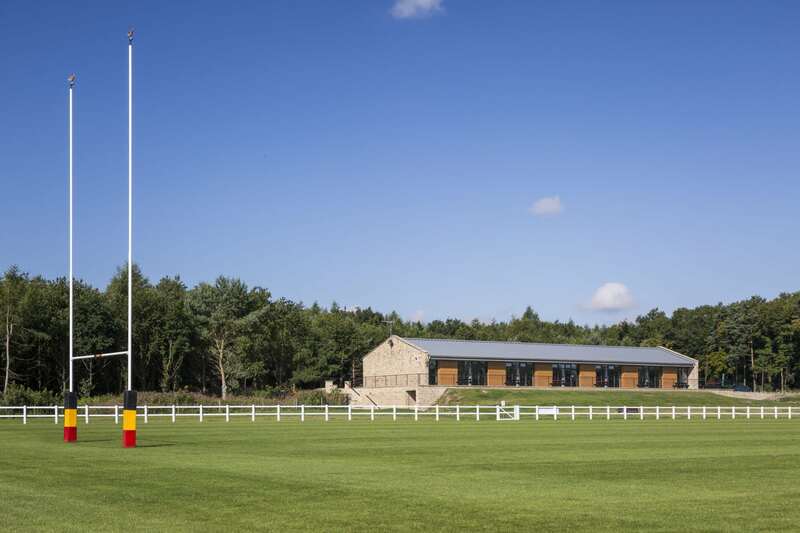 Located within green belt land, the design required a sensitive approach which was sympathetic to the rural setting whilst providing a space fit for 21st century recreation. Sustainably procured stone with glass and timber were used to remain in keeping with the local agricultural buildings and will darken with age, sitting comfortably in the natural landscape.